Our language keeps changing, our common experiences are fewer, and universal illustrations no longer are. According to no less an authority than the Apostle Paul, the spoken message of Christ crucified is one the ways God has chosen to bring his message of salvation to the world (1 Corinthians 1:18-25). Are you a pastor trying to make needed changes in the church, but meeting a lot of resistance every time you introduce something new, like a worship song, curriculum or order of service? While small churches may not see salvations every week, we must be ready for them when they happen. Introducing people to faith in Christ is a central component of what it means to be the church. Like me, many of you were raised and still minister in an environment where the Great Commission is followed by a public call to salvation at the end of every church service. Six months ago today, our church made our biggest transition in a quarter century. There’s a scandal going on in the church today. It is one of the biggest scandals in church history, yet it remains invisible to most of us. There are two different types of churches, organizationally. 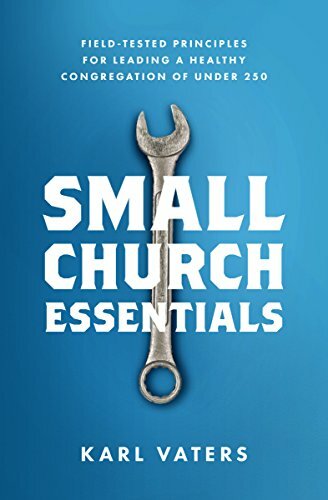 As we saw in a previous article, Why Most Small Churches Don’t Use (Or Need) An Organizational Chart, the smaller the church, the less necessary it is to use a static organizational system.